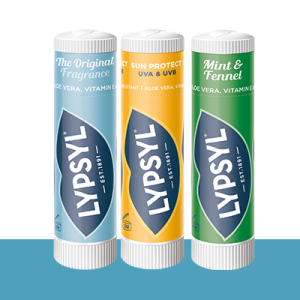 *Children should never be exposed directly to sun without proper protective clothing, accessories and suitable sun protection products. 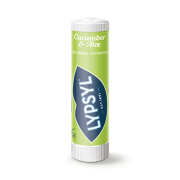 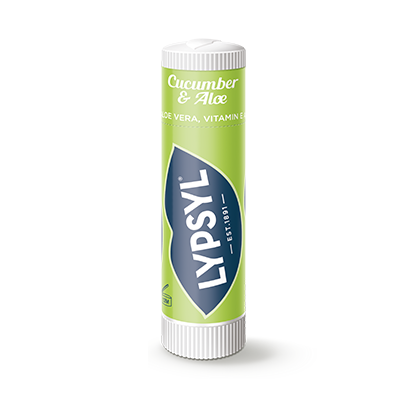 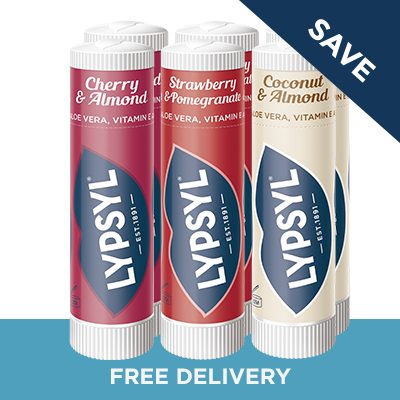 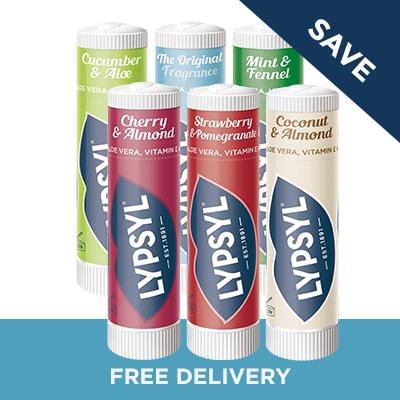 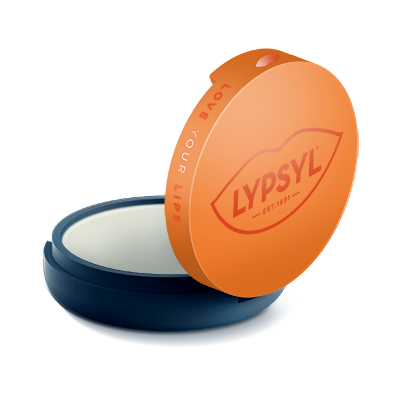 Lypsyl protects and helps repair chapped lips to leave them soft, smooth and looking healthy. 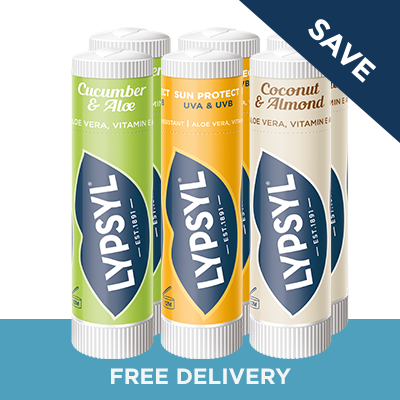 Lift your smile with our nourishing formula containing moisturising shea butter, velvety cocoa butter and natural beeswax to protect and help repair chapped lips. 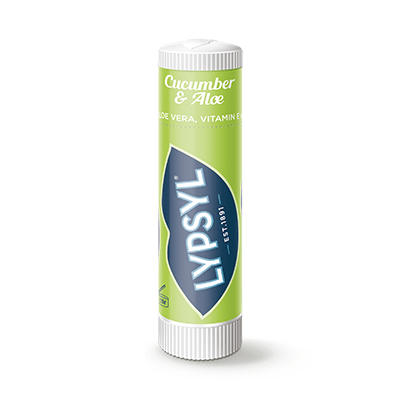 Cucumber & Aloe: Cera Microcristallina, Octyldodecanol, Caprylic/Capric Triglyceride, Cera Alba (Beeswax), Ricinus Communis Seed Oil, Octocrylene, Theobroma Cacao Seed Butter (Cocoa Butter), Glycerin, Cetearyl Alcohol, Butyl Methoxydibenzoylmethane, Myristyl Myristate, Persea Gratissima Oil (Avocado Oil), Butyrospermum Parkii Butter (Shea Butter), Cetyl Esters, Polyglyceryl-3 Diisostearate, Aqua, Ethylhexyl Triazone, Parfum, Tocopheryl Acetate (Vitamin E), Aloe Barbadensis Leaf Extract (Aloe Vera), BHT. 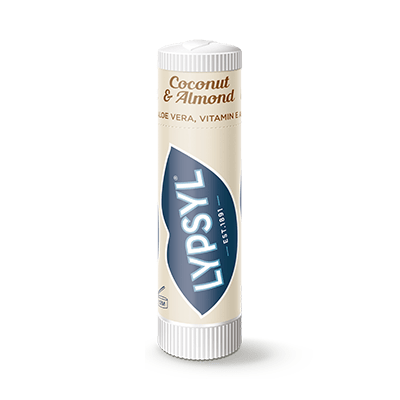 Coconut & Almond: Cera Microcristallina, Octyldodecanol, Caprylic/Capric Triglyceride, Ricinus Communis Seed Oil, Cera Alba (Beeswax), Octocrylene, Theobroma Cacao Seed Butter (Cocoa Butter), Glycerin, Cetearyl Alcohol, Butyl Methoxydibenzoylmethane, Myristyl Myristate, Persea Gratissima Oil (Avocado Oil), Butyrospermum Parkii Butter (Shea Butter), Cetyl Esters, Polyglyceryl-3 Diisostearate, Ethylhexyl Triazone, Aqua, Parfum, Tocopheryl Acetate (Vitamin E), CI 77891, Aloe Barbadensis Leaf Extract (Aloe Vera), BHT, Polyhydroxystearic Acid, Benzyl Benzoate. 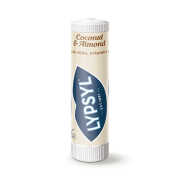 SPF 50 Sun Protect UVA & UVB: Cera Microcristallina, Cera Alba (Beeswax), Homosalate, Octocrylene, Theobroma Cacao Seed Butter (Cocoa Butter), Titanium Dioxide(nano), Octyldodecanol, Caprylic/Capric Triglyceride, Glycerin, Butyl Methoxydibenzoylmethane, Ethylhexyl Salicylate, Bis-Ethylhexyloxyphenol Methoxyphenyl Triazine, Ricinus Communis Seed Oil, Cetearyl Alcohol, Butyrospermum Parkii Butter (Shea Butter), Cetyl Esters, Polyglyceryl-3 Diisostearate, Alumina, Aqua, Stearic Acid, Parfum, Tocopheryl Acetate (Vitamin E), Aloe Barbadensis Leaf Extract (Aloe Vera), BHT, Benzyl Benzoate, Hydroxycitronellal.